“I offer my welcome to The Child Center of NY, a new member of the Roosevelt Island Community. They will play a vital role in educating our young and in providing critical resources to hundreds of families. As a Member of the Assembly Education Committee, I am committed to working to obtain necessary resources and funding in Albany so that programs like this ensure that every child in our community has an equal opportunity in shaping the future of our city and our great state of New York,” said Assembly Member Rebecca A. Seawright. "The Child Center of NY is thrilled to have been selected as the new Beacon provider on Roosevelt Island! We want to thank DYCD, the PS/IS 217 school and PTA, Councilman Kallos, and the entire local Roosevelt Island community for your help and support during this transition. We are excited to work alongside all of you to develop a dynamic program that offers a wide range of academic; recreational; social-emotional; health; and civic engagement opportunities to the entire community," Nicholas Ferreira Vice President. Youth Development at Child Care Center NY." 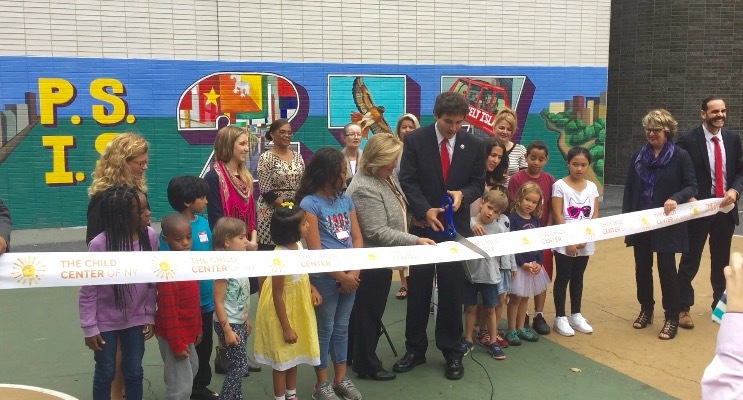 "We welcome the Child Center of NY to our school community at PS/IS 217. After school programs play a key part in a child's education and we are excited to work with the Child Center on NY as a partner in our student's well-being and academic achievement. Thank you to Councilman Ben Kallos for being a staunch advocate for the families at 217," said PS/IS 217 Principal Mandana Beckman. The Child Center of NY is seeking additional funding for enhanced services for Roosevelt Island Beacon After School program.